Arvada, Colorado. 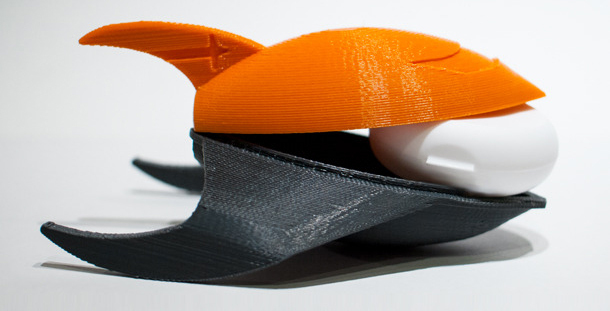 July 8, 2014 – Nonprofit humanitarian space agency, SpaceUnited, has launched a Kickstarter campaign to fund an affordable, 3D printed, rocket-shaped payload carrier that will take customer science experiments to the edge of space and back. To accomplish this, SpaceUnited is partnering with Edge of Space Sciences and Metropolitan State University of Denver to fly 50 ExploraLabs in rural Colorado on Saturday, September 13th. ExploraLabs fly on high altitude balloons to an altitude of 100,000 ft, or approximately three times the height of a commercial airliner. The Kickstarter campaign began June 30th and will run through August 2nd. During that time, the general public will have the opportunity to purchase ExploraLabs for $75, $100, or $200. The first level includes one ExploraLab, the second level includes two ExploraLabs with one being donated to a STEM student group, and the third level involves both ExploraLabs plus an invitation to the launch. After the campaign ends, SpaceUnited will 3D print and ship empty ExploraLabs to the 50 launch participants. Backers will then create and put their experiments in the Easter-egg-sized payload carriers, and ship them back. After the launch, each ExploraLab will be returned, and its owner will then be able to keep their carrier and experiment. View SpaceUnited’s kickstarter campaign here.